I really like that you break down all the little signs that you look for in your readers. Finding that "just right" place for them can sometimes be tricky, and you are right...that is a strength of yours! Thanks for sharing. I have enjoyed being a fellow Lit Land blogger with you! Right back to you, Em! Thank you!! The behaviors listed are definitely things I mention to parents during conferences or IAT meetings. I love the form that you created--it's a great way to show parents rather than just "tell" parents. Thank you! 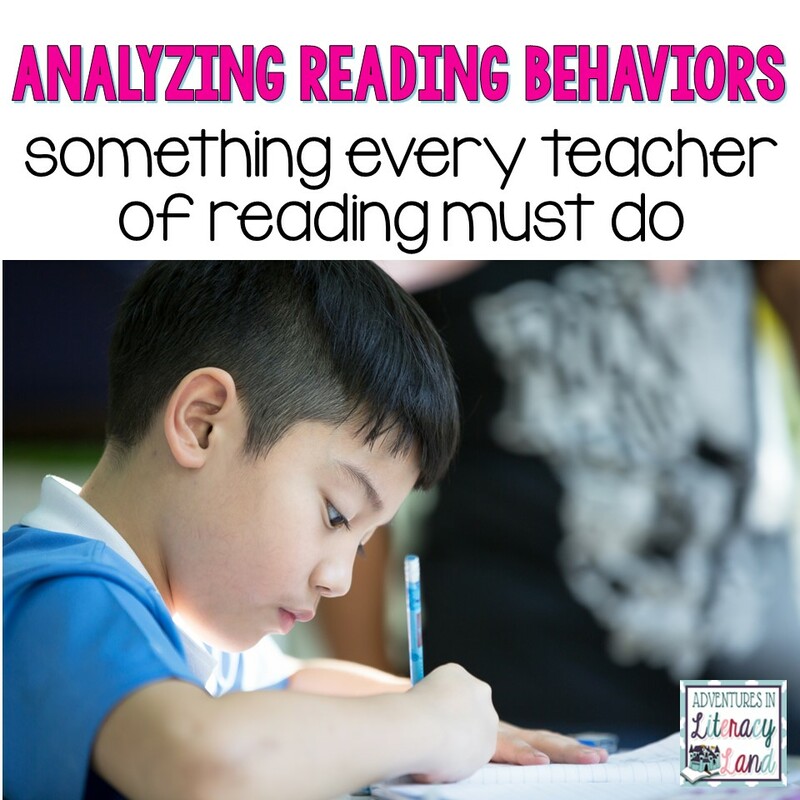 How do I get a copy of the reading behavior form? Let me double check. I must have forgotten to link the image. Sorry! In my store! You're all set now, Angel! I forgot to link it up, but it's fixed now.